-Extremely classy- Creatively designed to add a touch of glam to your dress. The Bling Bling ICED OUT Watch . The timepiece specially designed for bling bling fans worldwide. 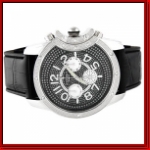 Watch with face sports glittering silvery dust that blings up the whole dial! Amazingly crystal studded on the watch frame. Huge Timepiece Sure to get Noticed among your friends. SIMILARLY HUGE diamond-like cut mineral Glass features a unique 3D prism design. Watch glass looks gigantic like diamond!! The Bling Bling Watch for all Champions and Winners. The Ace of Spade from Glamouruz.com. The timepiece specially designed for your triumphs against the trials of life. SIMILARLY HUGE diamond cut mineral Glass features a unique 3D prism design. Look at the pics. Watch glass looks like gigantic diamond!! The WORLD MAP Watch for all Bling fans. Featuring a BlingBLING WORLD MAP FACE THAT IS SIMPLY HOT! The GLAMOURUZ WORLD MAP Watch for all Bling fans. Featuring a BlingBLING WORLD MAP FACE THAT IS SIMPLY STUNNING. This huge masterpiece is bound to get you noticed. A Bubble Bling Hip Hop watch featuring an elegant bubble watch face to win you the envy of your friends - the perfect accessory to accompany any outfit. Featuring 2 rows of crystals on the top and bottom part of the watch face. And 3 decorative chronographs to add a touch of class to the watch. Now, join the league of Paris Hilton, Puff Daddy, Britney Spears, J Lo, Beyonance, Lindsey Lohan by wearing this fashion timepiece! This watch is a sure grab this season! - Watch face: 5.3 cm by 4.3cm in dimensions.